The famously silver maned Russian baritone Dmitri Hvorostovsky died this morning in London of complications from brain cancer. He was 55 years old. Hvorostovsky has been one of the most widely respected singers in the opera world since he burst onto the stage in 1989. It was at the Cardiff Singer of the World competition that Hvorostovsky sealed his stardom — beating out fellow baritone Bryn Terfel. Russian mezzo-soprano Irina Arkhipova, encouraged him to enter the Cardiff contest. It has been noted that after the performance at Cardiff, John Shirley-Quirk, the acclaimed bass-baritone, was said to have said, “Hvorostovsky looks like Nureyev and sings like God”. 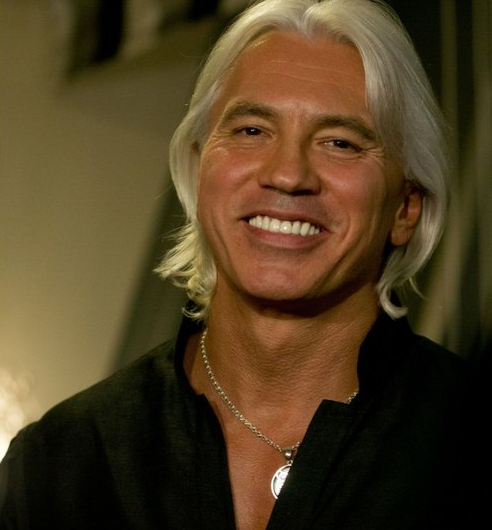 Described by Elle magazine as the "Elvis of opera", Hvorostovsky became known for his roles in Verdi operas, including as Germont in La Traviata, the hunchbacked jester in Rigoletto, the Count di Luna in Il Trovatore, Rodrigo in Don Carlo and the title character of Simon Boccanegra. But, it was his portrayal of the title character in Tchaikovsky's Eugene Onegin that became Hvorostovky's calling card. In June 2015, the baritone announced that he was suffering from a brain tumor. 6 months later, Hvorostovsky shared with the world that he would be withdrawing from all future staged operas to focus on medical treatments - leaving some very big shoes to fill. However, he surprised the audience at the Metropolitan Opera Gala in May when he graced the stage for a poignant performance of the "Cortigiani vil razza dannata" from Verdi's Rigoletto. Has It *Really* Been 10 Years? Remember 10 years ago when Facebook was barely a thing and Twitter wasn't a thing at all. We relied on the "CNN Alert Widget" to get our breaking news, right? If something major happened, it would pop up in the lower part of your computer screen with the alert. 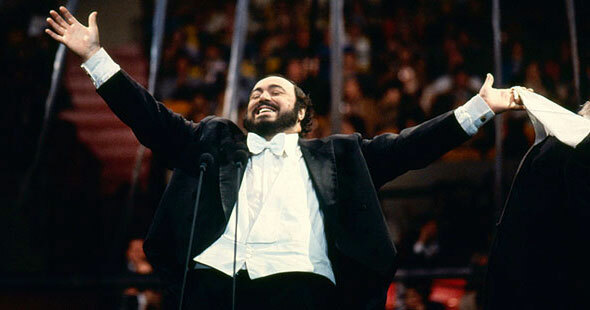 Famed Tenor Luciano Pavarotti dead at 71. I literally gasped and said, "Oh my god!" Now, I can confidently say that I can count on one hand the number of people whom I know who had the same reaction. But, you see, to us in the opera world, Pavarotti was the biggest star in our stratosphere - both figuratively and literally. I was in high school when Pavarotti teamed up with Jose Carreras and Placido Domingo for the Three Tenors Concert. I remember watching it on PBS with my grandmother - awestruck at the sound. 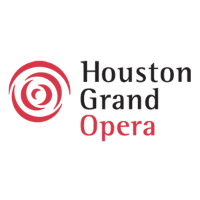 I had heard opera before but, this was accessible, fun and exciting. This was "rock star" opera: I mean, stadiums packed with throngs of cheering fans is pretty much "rock star" status. As I moved into my own operatic study and career, he was always the sound that we singers listened to. His technique was impeccable - although, many of us were divided on his use of "shadow vowels". Like at the end of "Nessun Dorma" when, instead of singing "All'alba vincerò! Vincerò! Vincerò! ", Pavarotti would sing "All'alba vincerò! Vinahcerò! Vin-aah-cerò!". Here... see for yourself. I always dismissed it as one of those funky things we singers adopt from time to time. But, I found out years later in my own study that there was a reason for it. After years of listening, watching and listening somemore... the voice - the personality - the smile ... all of it gone? Taken by cancer? At a time of his life when other singers have started to teach and pass on their vast knowledge to the next generation? I was in denial and disbelief. Famed tenor Luciano Pavarotti, who died on Thursday at the age of 71, was one of opera's most adaptable and ebullient performers, appearing on stage with singers as varied as Dame Joan Sutherland, U2's Bono and Liza Minnelli. Much as the star power of Rudolf Nureyev and Mikhail Baryshnikov revived widespread interest in classical ballet in the 1970s and 1980s, Pavarotti's beaming charisma and bravura style captured the attention of the late-20th-century audience for opera. "I dreamed to become a singer when I was four and I hear my father singing in the church with a beautiful tenor voice," he told CNN in a 1991 interview. "And I say to myself, well, let's try to do something." The young Pavarotti -- who played soccer with his town's junior team -- joined the church choir with his father and traveled with him to Wales, where the singing group won first prize at the Llangollen International singing competition. Although the experience left Pavarotti enthralled with singing, he graduated from the local teaching institute in 1955 and taught elementary school for two years, then worked as an insurance salesman. He continued his vocal studies, however, working first with with Arrigo Pola and then with Ettore Campogalliani. Then, in 1961, Pavarotti won the prestigious Concorso Internazionale and made his operatic debut at the Reggio Emilia Theater as Rodolfo in Giacomo Puccini's "La Boheme." His fame spread throughout Italy and then throughout the European continent as he made his international debut in Giuseppe Verdi's "La Traviata" in Belgrade. 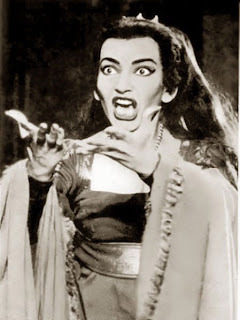 When Dame Joan Sutherland brought him on-stage with her during a performance of Gaetano Donizetti's "Lucia di Lammermoor" with the Greater Miami Opera in 1965, Pavarotti began his American career. He debuted at New York's Metropolitan Opera House three years later, and eventually marked 379 performances there, including his final opera, Puccini's "Tosca" in 2004, in which he performed as the painter Mario Cavaradossi. In between Pavarotti sold millions of records and raised millions of dollars for charity through benefit concerts, often sharing the stage with pop stars as well as other opera singers. Of his recordings, 1990's "The Essential Pavarotti" was the first classical album to reach No. 1 on Britain's pop charts, where it remained for five weeks. 1994's "The Three Tenors in Concert," with Placido Domingo and Jose Carreras, remains the best selling classical album of all time. Pavarotti joined with Domingo and Carreras in 1990, and although critics complained that Pavarotti's vocal skills were waning, the trio performed together for 14 years. Among his charities were a 1995 "Concert for Bosnia" that raised $8.5 million and other concerts that raised $3.3 million for refugees from Afghanistan and $1 million for refugees from Kosovo. In artistic terms, Pavarotti brought to the stage a voice neatly suited to the traditional bel canto, or "beautiful singing" style, essential to 17th-century Italian opera. As much about intensity as pitch, bel canto focuses the voice, concentrating the sound with both outstanding warmth and agility. So demanding is this work even of the best singers that Pavarotti in concert recital could be seen rising to the balls of his feet during the most challenging passages. A long, white handkerchief always hung from one hand as he sang, his eyebrows arched high in the effort, forming an expression seemingly of surprise at his own success. From his small beginnings, Pavarotti rose to great heights, performing in front of 500,000 people in New York's Central Park -- a concert seen by millions on television -- and before another 300,000 at Paris' Eiffel Tower. When cancer finally stopped Pavarotti from singing, it was only the second interruption of his career. "I think I just stopped for one year when from a kid I become a man and the voice is changing," he said in 1991. "I was an alto and became a tenor and that is the only time I think I remember to have stopped singing. Otherwise I have sung all my life." Although truly known by the masses for the Three Tenors concerts, it is his operatic work that will always remain in the forefront of my mind. Here is Another Favorite Clip of one of the most famous voices of our time. Continue to rest peacefully, Maestro. And, thank you.